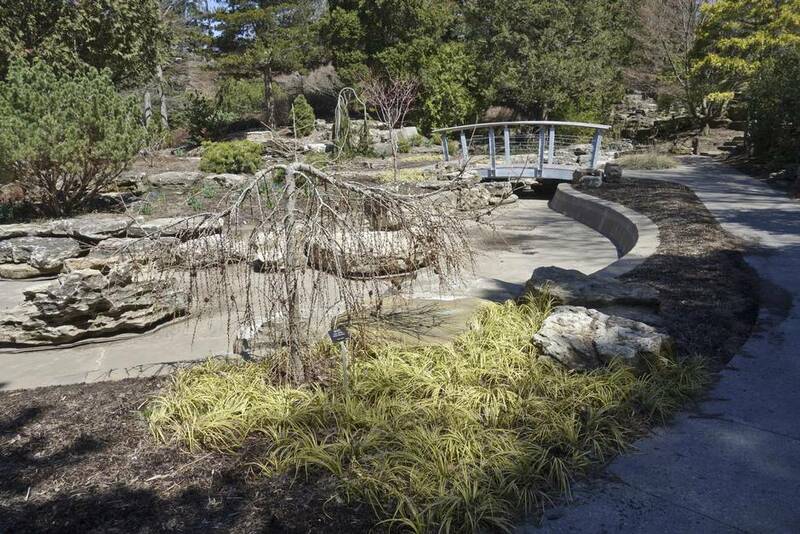 Generations of people have visited the Royal Botanical Gardens’ historic and spectacular Rock Garden even though it’s located in a hole in the ground at the edge of Hamilton and has been difficult to locate from the road. 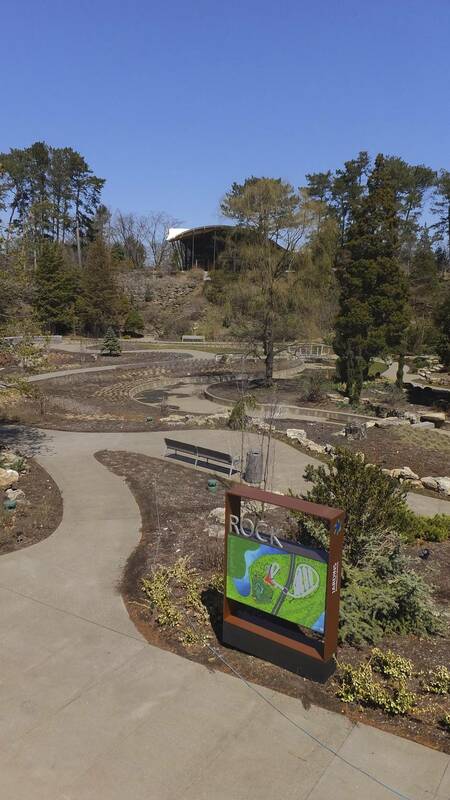 After four years of planning and renovating, the Rock Garden finally has an address, not to mention an updated look and amenities befitting this local treasure. Its dramatic new visitor centre and completely redesigned perennial garden officially open on Friday. The revitalization was a five-year saga, says Mark Runciman, the chief executive officer of Royal Botanical Gardens. A pair of $7-million grants from the Ontario Ministry of Tourism and the federal Building Canada program announced in 2011 were contingent on environmental assessments and raising $6-million in private donations. The fundraising turned out to be smoother than the challenges of building amid the remarkable collection of 2,400 plant species and getting the remote site hooked up to utilities. The garden at the far east corner of Hamilton was beyond the grid of electrical and sewer connections and its only water supply was an ancient corroded pipe delivering barely enough pressure to fill a garden hose. The plan for the visitor centre called for a light, airy building that complements the wild setting and provides wraparound views. So the new building at 1185 York Blvd. was designed with a unique curved roof that comes to a point, reminiscent of the shape of a leaf, says Peter Ortved, principal of the centre’s designer, Toronto-based CS&P Architects Inc. Its curved laminated wood roof beams were designed to suggest a leaf’s veins and they’re supported by tubular steel struts that echo the trunks of the grove of trees around the site. The new centre includes space that can be rented for special events. 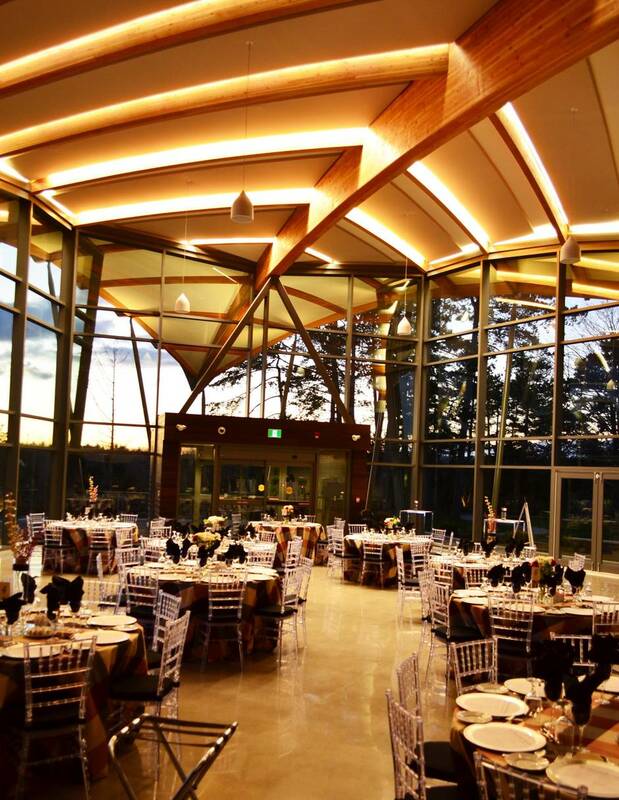 The large open main hall of the building and a separate restaurant are enclosed with glass walls that overlook the expansive garden, which sits below in a former gravel quarry. The original plan was to build right to the edge of the bowl, so that people inside could look straight down on the garden and its plant beds, but Hamilton building codes required a 15-metre setback. “We tried to argue that it is not a natural ravine; it’s a man-made bank, but they didn’t go for it,” Mr. Ortved explains. As it turned out, though, that allowed for construction of a patio alongside the building that provides a sweeping view of the garden below. On the other side of the building is a courtyard walled in limestone that can be reserved for parties or wedding receptions. While the building that was constructed from components fabricated off-site took only a few weeks to assemble last fall, the restoration of the rock garden itself was a long-term construction challenge. 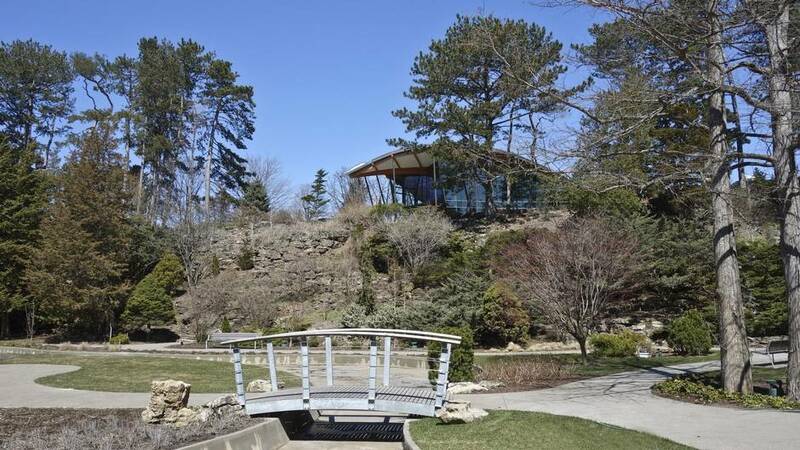 The garden dates back to the 1930s, when a Depression-era, make-work project turned the former quarry, which had provided much of the building material for Hamilton, into an element of the botanical garden system envisaged by conservationist Thomas Baker McQuesten. The walls of the large bowl-shaped quarry had been shored up with ledges and steep flights of steps made from 10,000 tons of limestone that was excavated from the nearby Niagara Escarpment. Over the years, the retaining walls had slumped and the stairways had become uneven and hazardous. The restoration, led by CS&P, has kept as much of the original stone as possible, and much of it was found to be in excellent shape. But the construction of new staircases as well as the visitor centre required large amounts of new limestone that was quarried near Wiarton, Ont. The staircases were all rebuilt, with 15-centimetre risers so they’re comfortable to go up and down. Graceful stainless steel hand rails make them much safer than the original open stairs. To improve accessibility, a service road was cut and paved at the back of the garden to accommodate mobility aids and strollers. The formerly gravel pathways have been paved as well. It was difficult to get construction equipment up or down the steep sides of the garden bowl, and around established plant beds, so the reconstruction required a great deal of hand work, Mr. Runciman says. A small tea house built in the 1960s, which used to be the only structure within the Rock Garden, has also been cleaned and restored. The building has heritage status and its makeover retains its exterior flagstone walls and picture windows. Food service equipment was removed from inside and the space can now house temporary exhibits, including a model train system and Santa at holiday time. A dramatic new watercourse through the garden starts with a waterfall pouring down a rock face. The water flows under an arched bridge and meanders in a man-made channel through the garden. Getting enough water required an expensive new 800-metre connection from Hamilton’s water main, which needed time-consuming permits, including permission to go under a Canadian National Railway line. An electrical service also had to be brought into the site. That allowed for LED lighting and speakers that can run a sound and light show to be added throughout the garden. The garden has evolved over the years and visitors who haven’t seen it in a while will notice some significant changes, Mr. Runciman adds. “We had a presentation to members and there were a core group who said; ‘If it’s a rock garden, you should only be planting rock garden species.’ We assured them there would still be lots of alpine plants that grow in the rock crevices. They tend to be small, though, and over the years the concept has moved toward a perennial display garden that’s a mass of different colours that change through the year,” he says. The Royal Botanical Gardens used to plant more than 100,000 tulips and daffodils in the fall, but after the short spring bloom, the bulbs needed to be taken out and replaced to keep the garden looking lush. “Now we’ve still got some pockets of tulips and daffodils, but perennials are a lot less effort than changing the displays every few weeks,” he says. Some of the busiest weeks of the year are in the spring when the lilacs are in bloom. One thing that won’t change is the reservation system and fee for wedding photography in the garden, which was set about 20 years ago, Mr. Runciman notes. 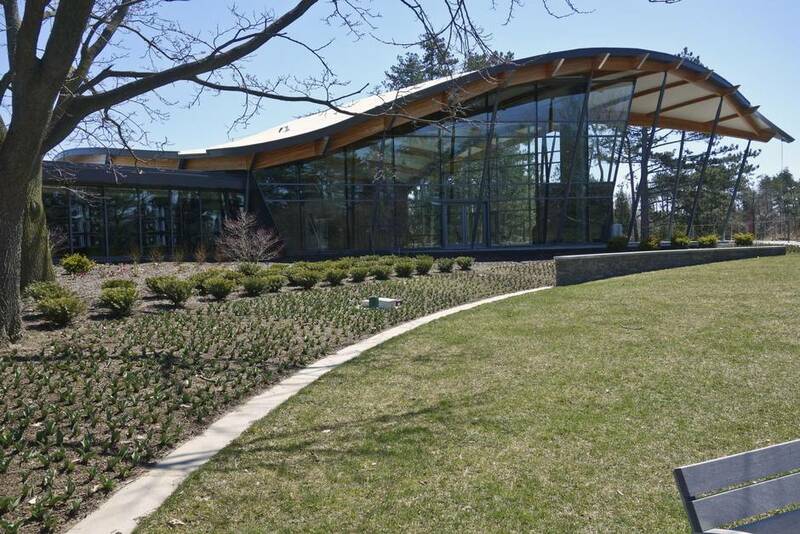 Area of new Rock Garden visitor centre: 9,074 square feet. Height: 7.96 metres (26 feet) to top of leaf roof. Multipurpose room capacity: Approximately 120 seats. Cafe capacity: 48 seats and outside terrace. Stone needed for building: 500 tons of limestone from Ebel Quarries, Wiarton, Ont. Timber used in roof: 26 individually sized ribs of glue laminated Douglas fir fabricated by Timber Systems in British Columbia. Total number of individual plants in garden: 143,800. Species of plants in garden: 2,411. Mammals: 37 species (including groundhogs).